More than 7,400 people have already joined or renewed their IMBA memberships during the spring “Ride and Support Local” membership drive. With great rewards on the line, including a Jet 9 RDO bike by Niner, the time to refresh your relationship with the local IMBA chapter that builds your nearby trail is now. Other May rewards include a Kuat Sherpa 2.0 rack, Five-Ten shoes, a trip to the IMBA World Summit and a race entry to the Carson City Off-Road in Nevada from Epic Rides. 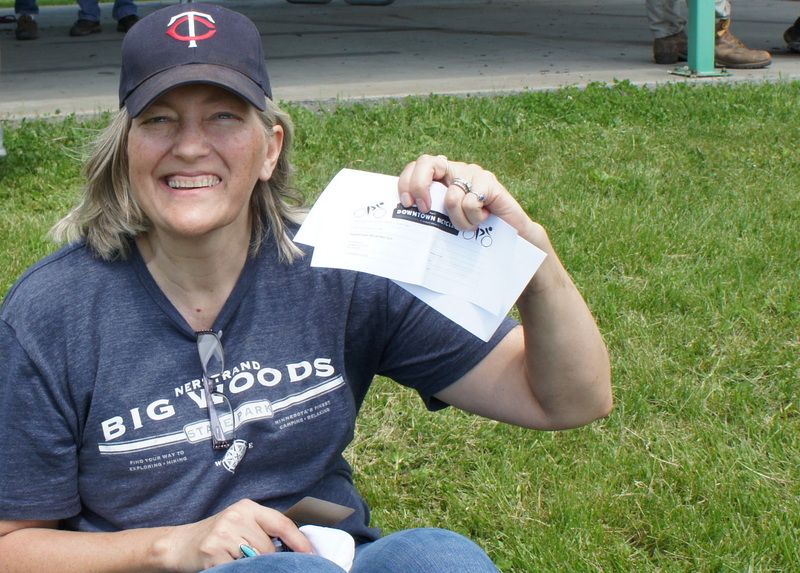 Even if you don’t win, you’ll feel good about supporting CROCT and joining more than five dozen other CROCT members in Rice County. We need your volunteer help as trail workers but just as important, we need the financial support that your membership provides. We need to buy trail building tools, rent machinery, buy the materials for trail head kiosks & other signage, print brochures and posters, pay for liability insurance, and more. See the details here and select CROCT from the dropdown. Do it by May 31 and you’ll have a chance at winning one of those prizes. We’d appreciate it and the kids will, too! As I mentioned briefly a week ago, our 2015 CROCT spring membership drive was very successful. We more than tripled our membership and they’re still coming in. 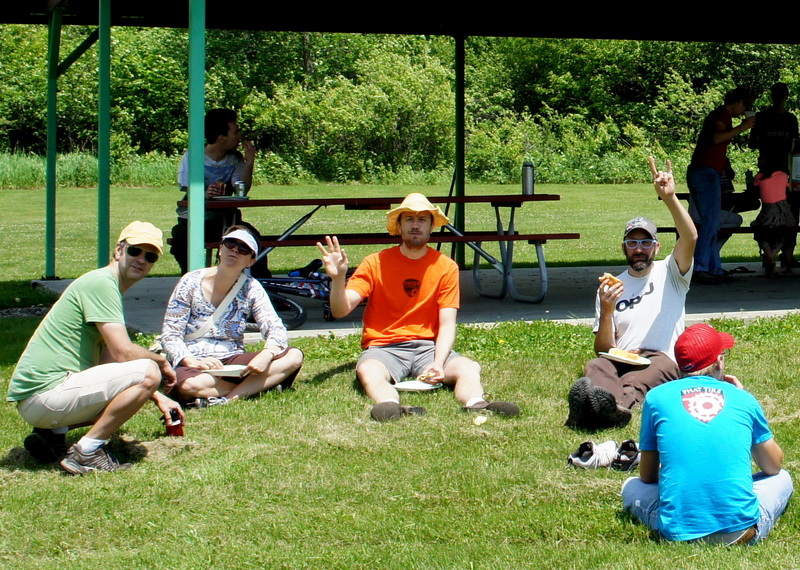 We’re just a couple shy of 70, making us one of the larger IMBA chapters in Minnesota. Several members joined or renewed at the $100 level. One new member joined at the $500 level. And one of our Founding Supporters donated $250 that was matched by his employer. We used $450 of that combo donation to buy the six $75 raffle tickets at the three Rice County bike shops. That really helped our membership drive in the final week. So on behalf of the CROCT board, we thank you. Now get out there and ride! 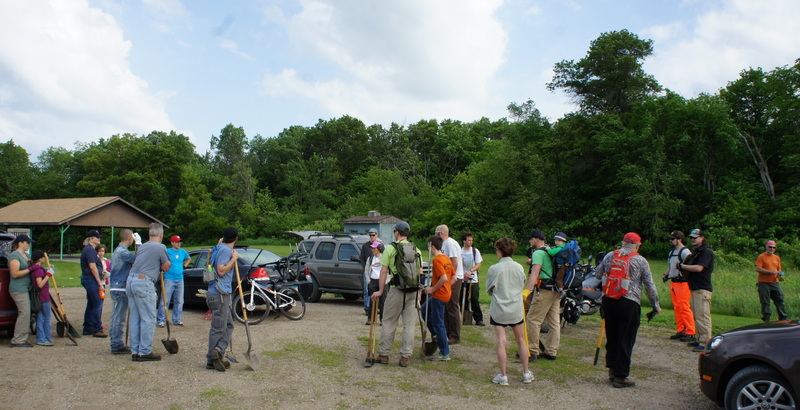 Over three dozen trail workers (including 15+ kids) showed up at Rice County’s Caron Park on Saturday (National Trails Day) to work on the first segment of a CROCT mountain bike trail there. The weather was gorgeous and the bugs were non-existent. Under the direction of trail steward and CROCT board prez Marty Larson, the crew worked from 9 am to noon. As part of our spring membership drive, all 65+ CROCT members were eligible for the six $75 gift certificates from the three Rice County bike shops: FIT To Be TRI’d, Mike’s Bikes, and Milltown Cycles. It was especially fitting that Sue Benson was a winner and present with her granddaughter. Her family on her father’s side owned the land that became Caron Park. 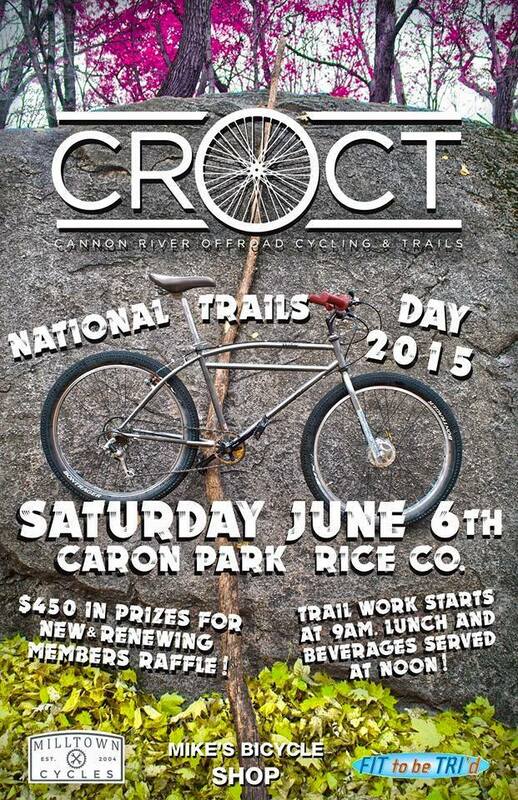 June 6 at Caron Park: trail work and raffle and food, oh my! Our 2015 spring membership drive has been very successful. 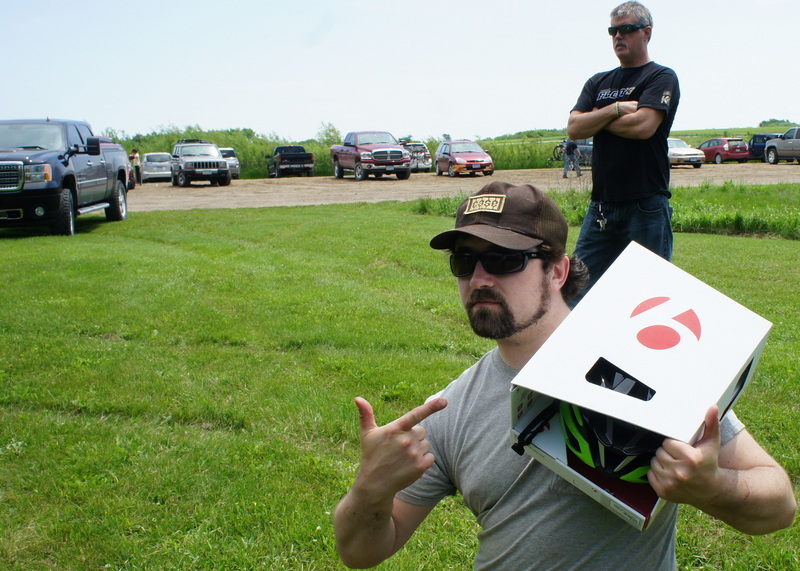 We now have over 65 members, making us one of the larger IMBA chapters in Minnesota. 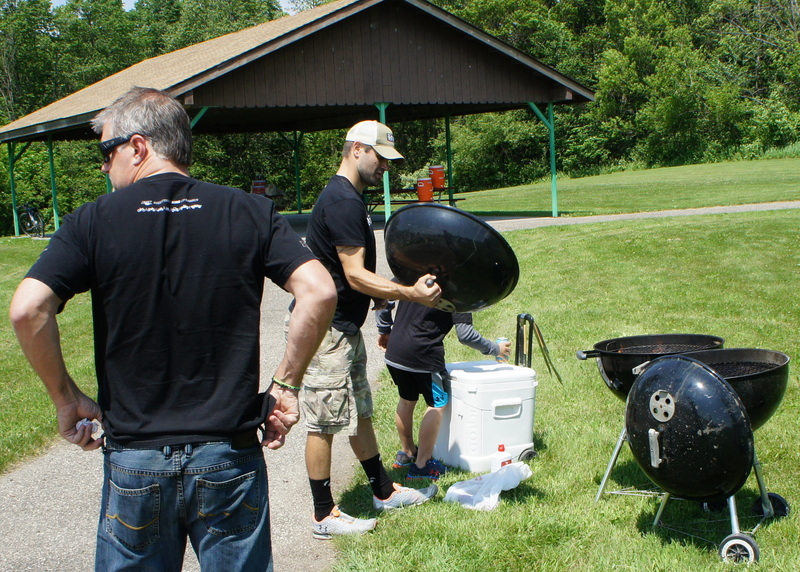 Whether or not you’re a member, join us on Saturday, June 6 at Rice County’s Caron Park (map available on that page) for some trail work, food, beverages, and some celebrating. WHAT SHOULD I BRING FOR TRAIL WORK? The last batch of rain will see the mosquito menace finally hatch so bring bug spray. Wear sturdy boots or shoes. Pants are sure nice to have. Work gloves are really worth it. We have a small selection of tools available, but will certainly need more. If you have loppers, a good hoe, or a nice rake, bring them. And bring some water. We’ll have a container full of water too, but it never hurts to bring a bottle to bring into the woods with you. HOW DOES THE TRAIL WORK, UM, WORK? We’ll most likely be breaking down into teams to work on specific sections. Marty Larson, trail steward, will delegate and provide instruction on what needs to be done. WHAT TIME DOES TRAIL WORK START AND END? We’re starting at 9am. We’ll break at noon for lunch and the membership raffle. And we’ll continue working into the afternoon if enough people are willing and able. WHAT IF I CAN’T GET THERE AT 9 AM? CAN I BRING KIDS, FRIENDS, NON-MOUNTAIN BIKERS? You bet. There will be plenty of kids out and about in the woods, exploring the stream, with some learning to help build trail. If you’ve got friends who are interested (they don’t NEED to ride a bike to attend, they just need to enjoy trails!) bring them along. No, but if you have a Facebook account, we’d appreciate a confirmation on this event page so we have a rough idea of how many are attending and can order the right amount of food and beverages. Please don’t. Dogs need to be leashed and they’ll hamper your ability to do trail work. And it can be a little dangerous for them to be around people swinging sharp tools. SHOULD I BRING MY MOUNTAIN BIKE? Sure! We can’t guarantee it but we’re hoping to have enough trail work done to get some riding in. CAN I STILL JOIN AND QUALIFY FOR THE CROCT RAFFLE? Yes. Anyone who’s an active IMBA/CROCT member by the time we hold the raffle at noon qualifies. Visit the IMBA/join webpage. Individual memberships start at just $30 ($20 for youth under 23). Family memberships start at $50 and entitle all family members in a household to membership benefits. Do it by noon on June 6 and you just might win one of the local CROCT gift certificates worth $75. Thanks for your support. Hope to see you there? Our Cannon River Offroad Cycling & Trails (CROCT) 2015 spring membership drive is coming to a close. And we’re sweetening the deal for you to join. FIT To Be TRI’d, Mike’s Bikes, and Milltown Cycles. That’s right, we have a total of $450 worth of gift certificates to give away. There will be a drawing for some additional prizes, too, courtesy of the bike shops. WHEN AND WHERE IS THE CROCT RAFFLE? 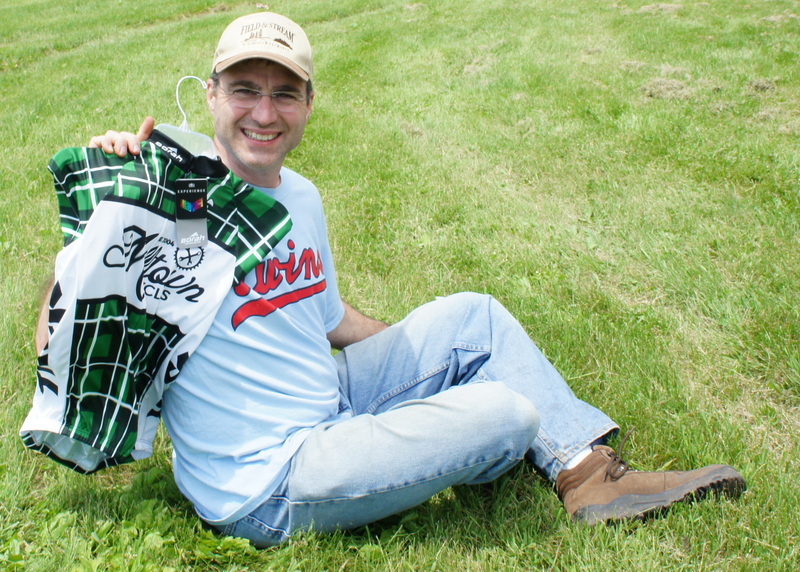 We’ll have the raffle drawing at Rice County’s Caron Park on Saturday, June 6. It’s National Trails Day so we’ll also do some trail work there starting at 9 am. We’ll then serve up lunch & beverages at noon, following by the drawing. DO I NEED TO BE PRESENT TO WIN THE CROCT RAFFLE? Details on the IMBA/join webpage. HOW DOES CROCT BENEFIT WHEN I JOIN IMBA? 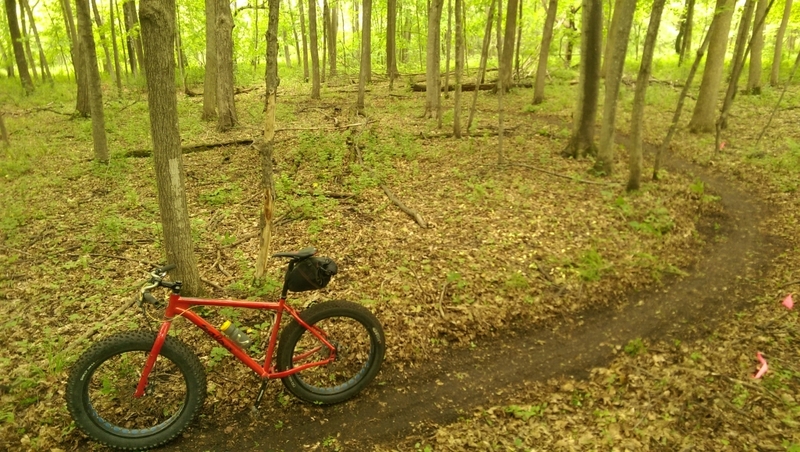 By joining or renewing your membership with CROCT/IMBA you will be helping to create and preserve mountain biking trails both worldwide and locally right here in Rice County, MN. 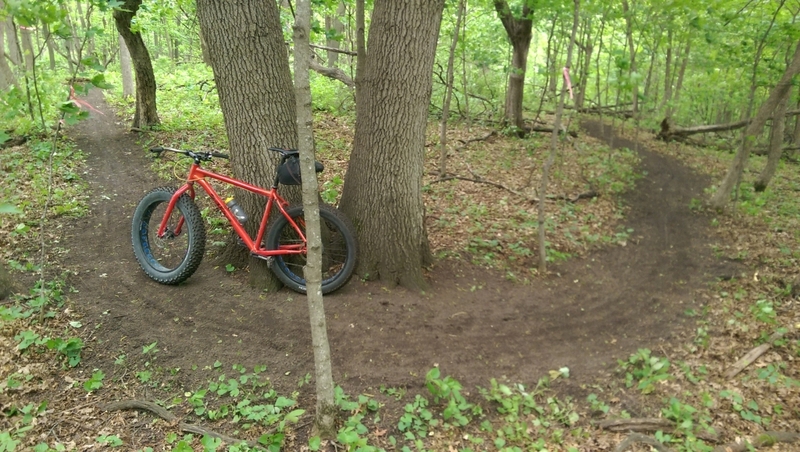 CROCT volunteers have built a very popular mtb trail at Sechler Park in Northfield, MN. We’ll be expanding it in 2015. 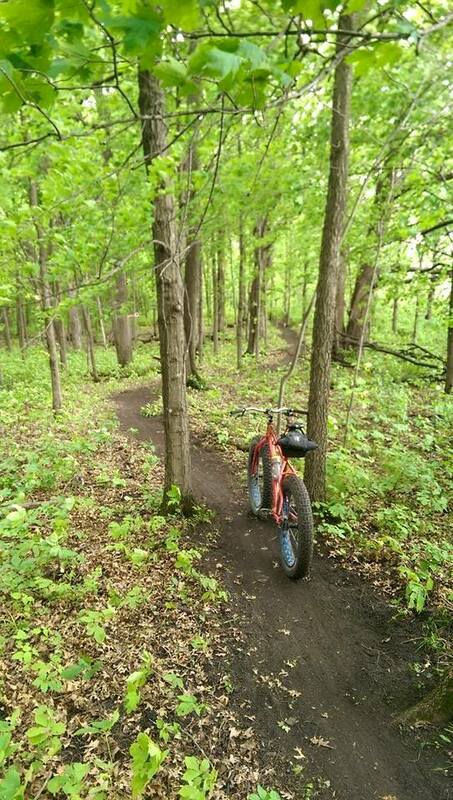 And we’re approved to begin working on new trails in Rice County’s Caron Park this year. We’ll need your volunteer help as trailworkers but just as important, we need the financial support that your membership provides. We need to buy trailbuilding tools, rent machinery, buy the materials for trailhead kiosks, print brochures and posters, pay for liability insurance, and more. Individual memberships start at just $30 ($20 for youth under 23). Family memberships start at $50 and entitle all family members in a household to membership benefits. Do it by May 31st and you just might win one of the local CROCT gift certificates worth $75 or one of the national IMBA prizes. Become a CROCT/IMBA member (or renew) by March 31st. You could win big. IMBA has launched a big spring membership drive and CROCT is participating. As an incentive to join or renew by the end of March, IMBA will enter you in a drawing for two big prizes: a Scott Genius mountain bike, or a VIP mountain bike trip to the Burning Can Festival at the Oskar Blues REEB Ranch in Brevard, NC. 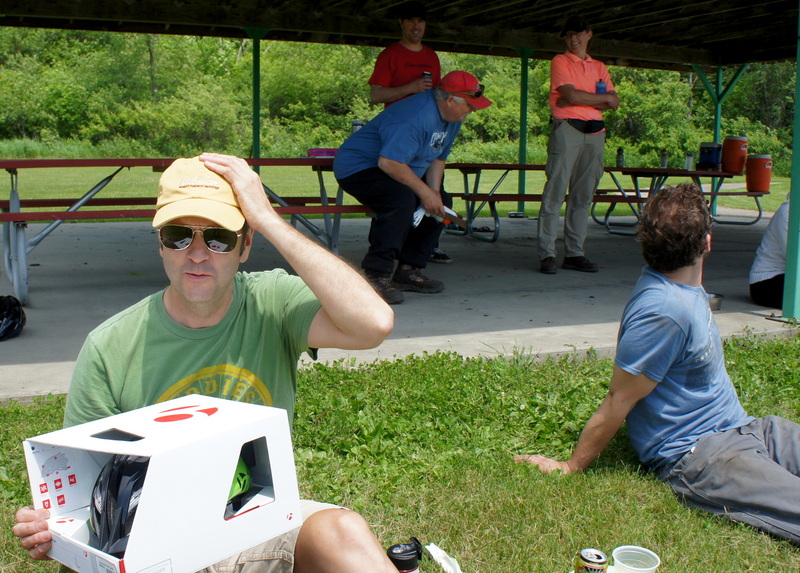 The CROCT Board is scheming to sweeten the pot with more prizes from local bike retailers. Become eligible to win these by joining or renewing anytime between March 1 and the end of May. When you become a member of CROCT (or renew your membership), you support the work we do for mountain biking locally here in Rice County. You’ll simultaneously become a member of IMBA and support the work they do for mountain biking across North America. All CROCT members receive IMBA membership benefits.